“Physical Poetry” is a collaboration between Yuhas and Dancers and Charleston’s esteemed poet laureate, Marcus Amaker, that reveals our yearning for a safe space to live freely around a multiplicity of labels: black, gay, female and more. 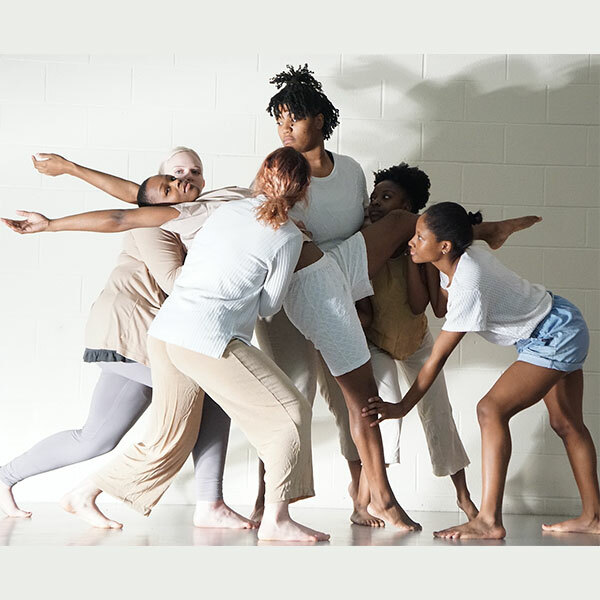 As Amaker’s words resonate, the 45-minute work is performed by an all-woman troupe of diverse shapes, sizes, and colors and travels through three sections: Under My Skin; Our Love Affair with Conflict; and Remnants. In a world where Donald Trump is president and hate crimes have become daily news, through tension and release, the work proposes humility as our clearest answer. Yuhas & Dancers (Y&D) is a dance company based in Columbia, SC under the direction of Meredith Yuhas. 14 women strong, the group strives to empower dancers of all shapes, sizes, and colors through professional opportunities in dance. Emerging out of the Columbia College Dance Program, the company works as advocates of body confidence, honest conversation, and confronting inequality specifically in socio-cultural norms of the Southern United States. Y&D made their debut at the Asheville Fringe Festival January 2018, winning Festival Fan Favorite now two years in a row. In addition, the group was awarded Most Inspiring Act for their 2019 evening-length performance, Physical Poetry, created in collaboration with Charleston’s Esteemed Poet Laureate, Marcus Amaker. 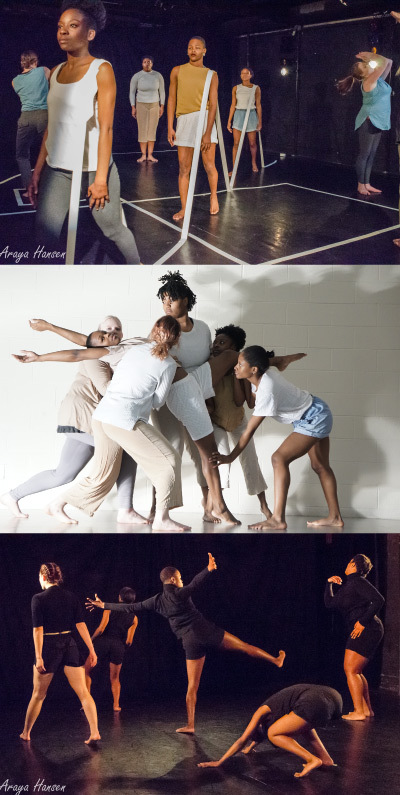 The group produces local dance shows including Columbia’s Emerging Choreographers Show and a night of dance at The Free Verse Poetry Festival in Charleston, SC, uniting developing and established choreographers of SC. Y&D made their Northeast premiere at PortFringe Theater Festival in Portland, ME, winning Critics Choice and Bates Dance Festival Informal Showcase in Lewiston, ME. Additionally, the company offers community workshops in kinesthetic empathy and embodied activism and believes this work continues to make them a dynamic force on and off the stage.